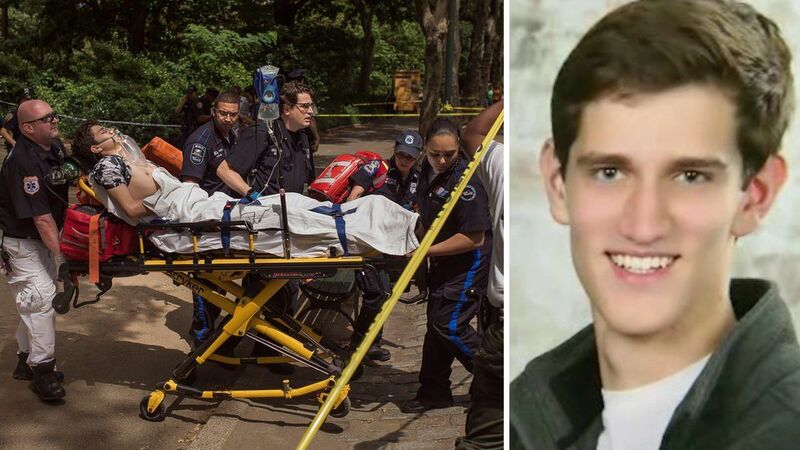 CENTRAL PARK, Manhattan (WABC) -- The teen who was injured in an explosion in Central Park is suffering complications. According to his GoFundMe page, Connor Golden, who had his foot and part of his leg amputated after the July 3 incident, had another surgery "due to complications from what doctors describe as a local infection in the area of his wound." He remains at Bellevue Hospital in New York. "As soon as doctors are confident that the infection has cleared, he will be discharged from the hospital to complete his recovery at home and under the care of doctors in Northern Virginia," the update read. Friends of the Virginia college student started the online fundraiser to help with his medical expenses. Golden, a college student at the University of Miami, was in Central Park on July 3 with some friends when he stepped on a rock covering the homemade explosive and lost his lower left leg and foot. The blast could be heard for blocks. Police said the explosive was homemade, likely by someone who had some knowledge of chemistry. They didn't believe it was meant to intentionally hurt anyone.